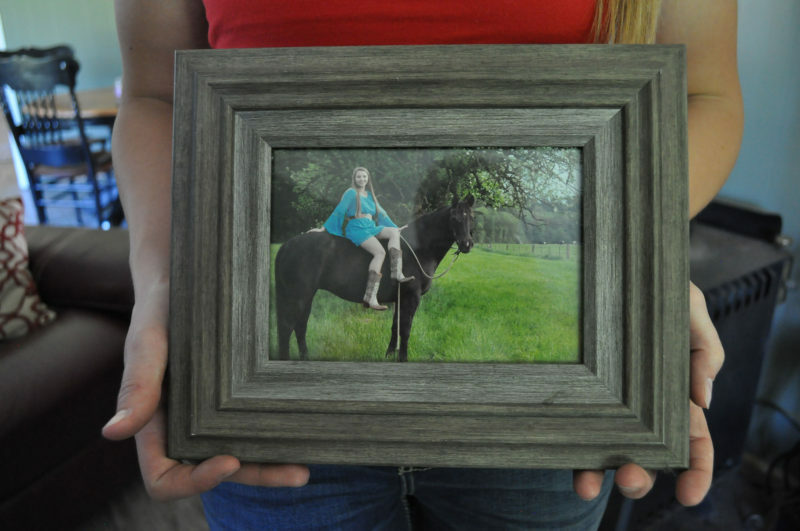 ONALASKA, Wash. — There were a couple things Heather Guenther knew for sure as she was preparing to graduate from Onalaska High School. One: She wanted to go to college. She didn’t know where and she didn’t know what she planned to study, but she knew she wanted to leave, explore and earn her college degree. 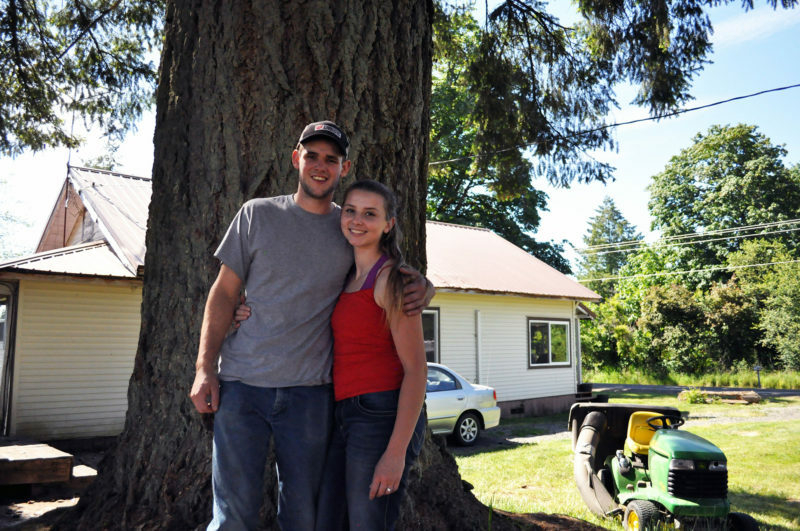 Two: She wanted to someday return to her hometown, a rural community in Southwest Washington, to start a family. Guenther and her husband, Jacob, are emblematic of a trend underway in the small town of Onalaska. This community in rural Lewis County made headlines in 2017 when all 43 of its graduating seniors were accepted into two- or four-year colleges. In this sprawling county in the shadows of Mount Rainier and Mount St. Helens, less than 16 percent of people have a bachelor’s or higher degree. 43 — The number of students in Onalaska High School’s 2017 graduating class. 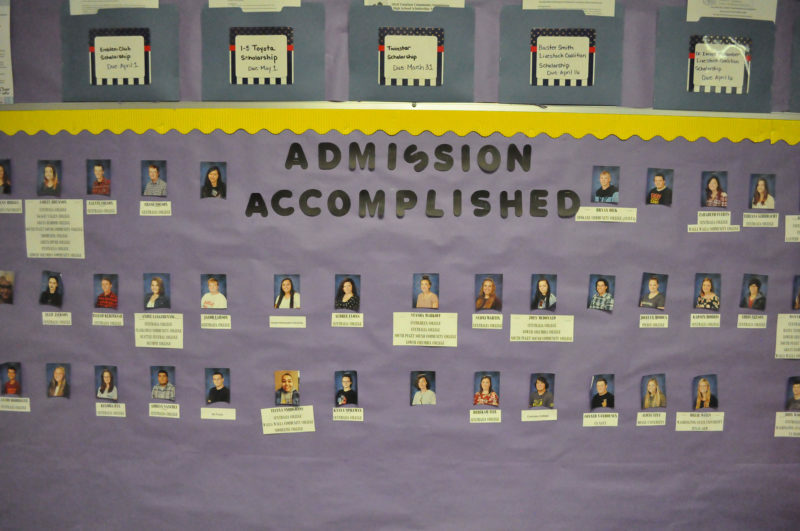 All 43 were accepted to college. But in Onalaska over the last five years, the number of people in their 20s and early 30s has doubled. Enrollment in the Onalaska School District — which includes the town and outlying areas — rose by about 14 percent between May 2014 and May 2018, to 851 students. And at the heart of that growth, former students and community leaders say, is the high school. This is a town of Friday night football games, of stargazing on the school’s soccer field, of fishing in the pond connected to the school. In its efforts to prevent students from leaving forever, to provide a public space for all residents to use and improve access to nearby natural resources, the school has built a sense of community. The school’s efforts align with research on how rural communities can stanch population loss by luring residents back home. According to a 2015 study commissioned by the U.S. Department of Agriculture, strong schools and close-knit communities are a key attraction of rural communities. 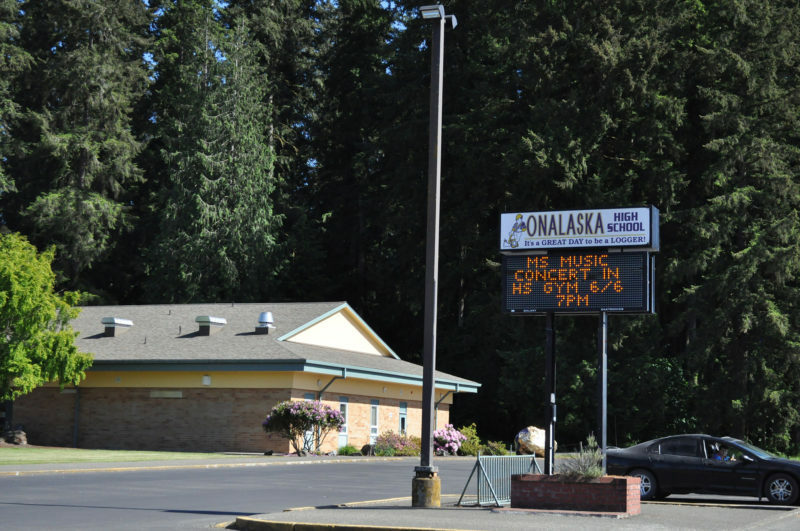 Onalaska, situated roughly halfway between Seattle and Portland, is proud of its history. Its three schools’ mascot is “the Loggers,” a nod to the thriving timber economy this community was founded on in the early 1900s. Historic photos of lumber yards hang in the high school lobby. The school is located on Carlisle Avenue, named after William Carlisle, the co-founder of the long-shuttered timber company that established this town. There are still a handful of timber companies in Onalaska, but the timber industry in Washington has been declining since World War II. Today, the majority of Onalaska residents commute to work in nearby cities. That proximity to work opportunities elsewhere may give Onalaska an edge over more isolated places that struggle to retain even the residents who want to stay put. Community leaders and residents say those who stick around to work in Onalaska tend to do so in the remaining timber and trucking jobs — or the school district, the town’s largest employer. Murphy of the Onalaska Alliance said that 25 years ago workers in this town could provide for their families with only a high school diploma. But across the United States, that pursuit of higher education and better jobs is also killing small towns. According to the University of Pennsylvania’s Public Policy Initiative, 1,350 of the country’s 1,976 non-metro counties have lost population since 2010. Since the 1990s, rural population growth has lagged behind urban growth. In contrast, Onalaska’s population rose from 731 residents in 2012 to 772 residents in 2016, according to U.S. Census data. The median age declined from 36.6 to 32.9 over that period. While the data is imperfect, school enrollment also tells a story of growth. Elementary school enrollment has climbed the fastest, from 327 students in May 2014 to 391 in May 2018, according to the Office of Superintendent of Public Instruction in Washington. The numbers indicate that not only are Onalaskans staying in town, they are starting families and putting down roots. Onalaska High School Principal Dracy McCoy followed that trend: She’s an Onalaska native who worked elsewhere before returning to raise her son. “There’s quite a few families like that, who went and left and came back to raise their kids, which is kind of neat for a small town. It’s kind of a unique thing,” she said. The USDA study of small communities found that former residents who return to their hometowns, particularly those who pursued higher education, can play a key role in improving the local economy of rural communities. “You leave and go explore, but when you’re ready to settle down, your hometown is an option,” said John Cromartie, a USDA geographer and one of the researchers. Back at Onalaska High, Kaylene Kenny teaches a class that’s all about ensuring students know their options. For 50 minutes a day, every school day, Onalaska High’s seniors attend Kenny’s “Senior Success” class. In a home economics classroom, she runs through how to file taxes, balance a budget and apply for college. Once students have been accepted to college, they learn about federal financial aid, discuss how to save for school and apply for scholarships. Kenny’s been teaching at Onalaska High School for seven years. This class was introduced five years ago to encourage more students to show interest in and apply for college. “The whole goal at the beginning was how do we get these kids excited about their future,” she said. The class fulfills a Washington state requirement that students complete a “High School and Beyond Plan.” As seniors, students in Washington must complete a resume, a portfolio of their educational experience and develop a post-graduation plan, for college or career. At some schools, it’s just one more task to complete before graduating; a check mark. At Onalaska High School, it’s serious business. Still, school staff realize college isn’t the right path for all the district’s students. While most students are accepted into college, the reality is some graduates prefer to head directly into the workforce, pursuing blue-collar careers in manufacturing, construction or logging. In 2017, the year the entire graduating class was accepted into college, four of the school’s graduates went straight into the work force instead. In class, Kenny walks students through a variety of vocational programs and discusses careers in the military, as well as the pros and cons of two- and four-year colleges. Guest speakers from trade groups, colleges and military branches visit the campus. Onalaska technically isn’t a town at all. It’s an unincorporated, census-designated place — large enough to have its own name, but not to have its own government. That’s given community leaders — including the school — a unique role. “Whatever happens has to happen because of the people of our community,” said Murphy of the Onalaska Alliance. It’s a charge those at Onalaska High School have taken in earnest. Take, for example, science teacher Johnny Garcia. Garcia has been teaching at Onalaska High School for more than 20 years, and he isn’t running a typical science class. The school is home to the second-largest public telescope in Washington, built after Garcia encouraged a student interested in astronomy to apply for grant funding. Last spring, students were in the process of building a hexagonal, transparent beehive, and putting the finishing touches on an aquaponics greenhouse. Most significant in Garcia’s efforts to serve the community is the ongoing maintenance of Carlisle Lake, the old mill pond once connected to the Carlisle Lumber Company, which is still dominated by a 200-foot smokestack that towers over the shore, the last remaining structure of the company. Six years ago, the pond was overgrown with invasive brambles. Structures were covered in graffiti. “There would be a case of beer, needles on the ground,” Garcia said. But that changed in in 2012, when the Onalaska Alliance purchased the 72-acre property. Garcia’s high school students took the lead in clearing out the property. They helped write grants that would pay for interpretive signs. A gravel path was added, making the once-muddy property an all-season trail. There are now public bathrooms, and students have designed and maintain exercise equipment scattered around the trail. It’s the site of the state’s only high school-operated fish hatchery. And further, Murphy believes the rehabilitation of the property has something to do with people returning to Onalaska. Cromartie’s research for the USDA suggests this could be the case, noting that outdoor recreation opportunities are key in attracting people to rural communities. That type of investment in recreation opportunities is rare, but important to a small town, he said. “We have worked hard to create an inviting and positive culture in our community,” Murphy said. The way Garcia tells it, there are always more projects to be done — signs to build, bridges to repair, a model of the solar system to construct. He points to an empty field; students will eventually build a human sundial there. An aging portable classroom will become a mini science museum, filled with hands-on activities for kids. Garcia isn’t trying to make scientists of all his students, and it shows in the flexible approach he brings to his classroom. No two students are given the same rubric for points or grades — he customizes the class to meet every student’s needs. Some prefer to draw diagrams of plants and animals. Others enjoy spending their time building and designing experiments in the school’s wood shop. And others like debating and answering discussion questions on the class’ online forum. It’s all part of Garcia’s more important goal: that his students are proud of what they leave behind. “I hope that they actually feel like they’ve done something to help the community,” Garcia said. Both Guenther and her husband, also an Onalaska High School graduate, intend to return to teach at their alma mater. The pair wanted to have a few independent years, she said, but did not want to be so far away they couldn’t come back to see their families. “It was far enough away I could have my own life, do my own thing, but it was close enough that I could always come home,” Guenther said. It’s a story that echoes McCoy’s. After graduating with her teaching degree, McCoy taught special education at Vancouver Public Schools, a district of more than 20,000 students in the Portland suburb of Vancouver, Washington. But when her son was born, she returned to Onalaska hoping to give him a more personal education experience — the kind in which every teacher knows every student by name, she said. Guenther dreams of giving her own children that experience someday. Hunter Blair stands in the 80-acre field of the property he and his fiancée, Ronnie Kinsman, rent. That way — he points to a wooded area toward the back of the property — he can go hunting. That way — he points in the opposite direction — he and Kinsman’s daughter can go fishing in the mill pond adjacent to the school. This is a taste of the life he and Kinsman are building for themselves in the town where they both grew up. Their path toward that point represents two sides of Onalaska High School’s story. Kinsman graduated in 2016. She takes classes online from nearby Centralia College, pursuing an associate degree. She also works at the Lewis County Animal Shelter. She and Blair are raising her 4-year-old daughter, Evie. Blair graduated in 2017 — a member of the class in which every student was accepted into college. But Blair, who has been working since he was 15, decided against going to college or a trade program. He works in the warehouse of a petroleum company with offices in nearby Centralia. “I would rather be working and making money,” he said. Kinsman is still considering her plans for her future. She thinks about earning a bachelor’s degree and becoming an agriculture teacher at Onalaska High School. Alternatively, she and Blair also dream of operating a small dairy farm together. Regardless of what happens, she said she and Blair plan to stay in their hometown. This story about rural schools was produced by The Hechinger Report, a nonprofit, independent news organization focused on inequality and innovation in education. Sign up for the Hechinger newsletter.